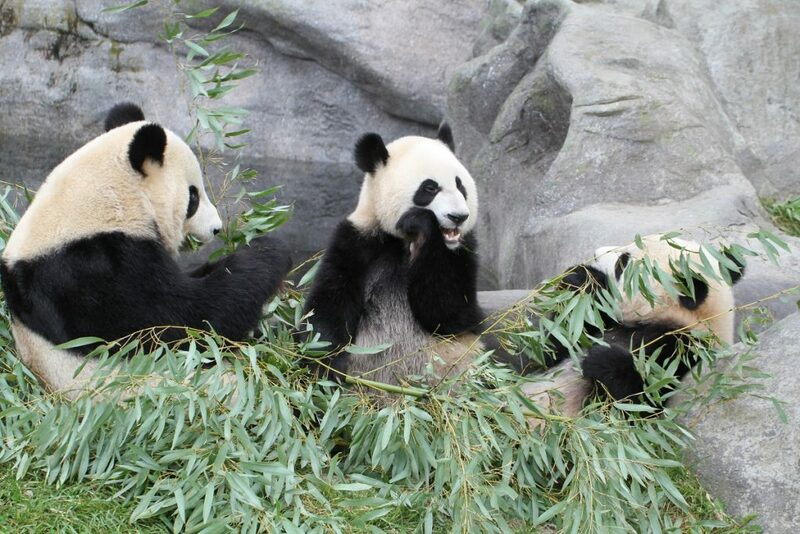 Giant pandas are coming- how can you visit? 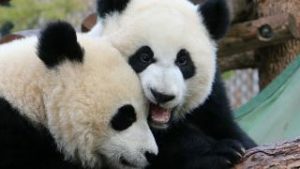 You will be able to see giant pandas at the Calgary Zoo for the first time since 1988- in exactly 45 days. With all of this excitement building, it’s time to plan your experience. What are the different ways that you can visit the calgary pandas? The Calgary Zoo has renovated a building in Eurasia to house our new panda family. Called Panda Passage, this state of the art building will not only host four giant pandas, but it will also be home to our Bactrian camels, as well as our two male Komodo dragons. 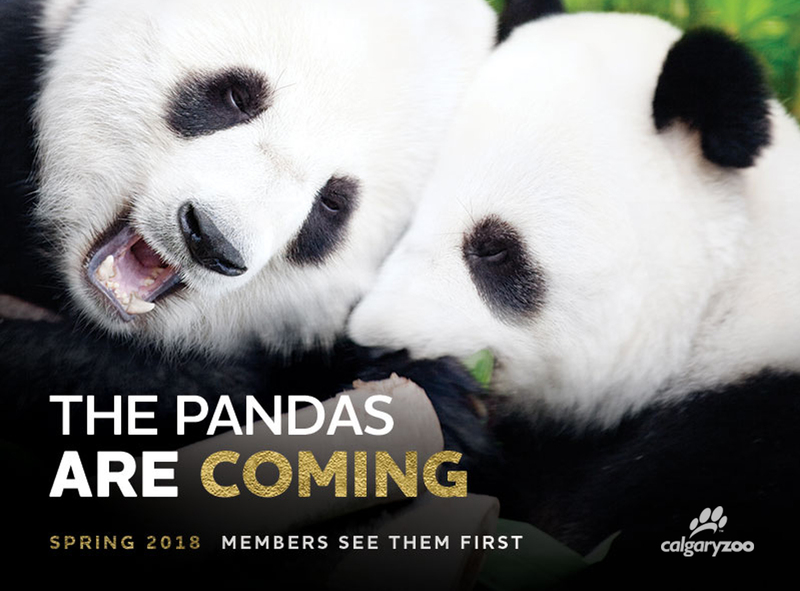 Panda Passage will have it’s grand open on May 7, 2018- just over a month away. We expect the zoo to be busy- after all, the first panda stay in 30 years means guaranteed panda-monium! In order to provide the best experience to our zoo family, we have created different ways for you to visit the giant pandas, including time- ticketing, membership previews, and a member-only visiting hour. What does that mean for you as a visitor? Are you a regular zoo customer? If yes, than you can look forward to visiting Panda Passage starting May 7th – the grand opening. Enter the zoo and enjoy your visit as you normally would, but make sure to save some time for the pandas! Opening weeks will be busy, so we recommend planning your day to make sure you won’t be waiting in line. Add time-ticketing! Free of charge, book a special time during the day to visit the pandas. Coming soon, this service will be available when you attend the zoo- just select the hour when you would most like to visit Panda Passage. During this time frame you will have access to a fast track lane at the habitat – bypass big lines and visit the pandas right way. Enjoy member previews from April 27- May 5! Visit the zoo for an exclusive first look at the Panda Passage. Let us know what you think of the space. Enjoy a special members-only hour! After May 7, every morning will have a special members-only preview hour from 9-10 a.m. Come to the zoo when it opens and enjoy the pandas without the crowds or the fuss. We’re expecting up to 25 per cent more visitors this summer, so our goal is to ensure that you have a great experience at the zoo. Besides introducing member visiting hours and time-ticketing to all of our guests, we also will feature continuous online discounts, and a wider range of prices. These discounts will include daily deals for online purchases ($5 off per transaction or per ticket), and lower prices for weekday admissions. We aim to provide a range of options for Calgary Zoo guests to enjoy, and to help decrease crowds during daily visits. Pandas are coming, and we can’t wait for you to get to visit them. We so excited to welcome Er Shun and Da Mao, and Er Shun’s two cubs Jia Panpan (Canadian Hope) and Jia Yueyue (Canadian Joy) to our Calgary Zoo family. See the pandas first! Engage and Inspire zoo members get a home-court advantage with fun sneak peeks and member previews from April 27- May 5 – which means panda visits before anyone else.